This is a bonus poster, designed by Linda J. de Wit even though she has completed her time as CID intern. 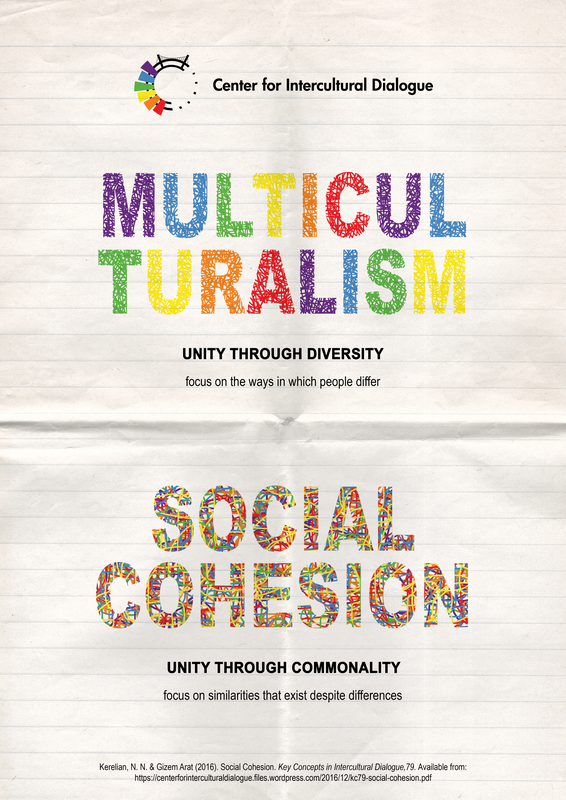 This is the second poster to use the Key Concepts in Intercultural Dialogue as the source. The content here combines KC19: Multiculturalism with KC79: Social Cohesion.